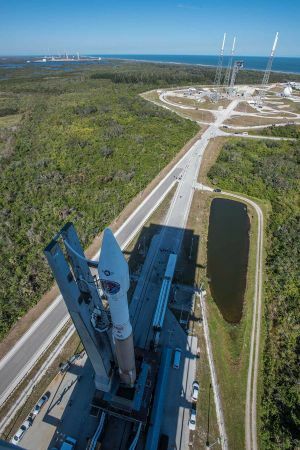 18.01.2018: Everything is progressing toward the ULA Atlas V launch carrying the Space Based Infrared System (SBIRS) GEO Flight 4 mission for the U.S. Air Force. 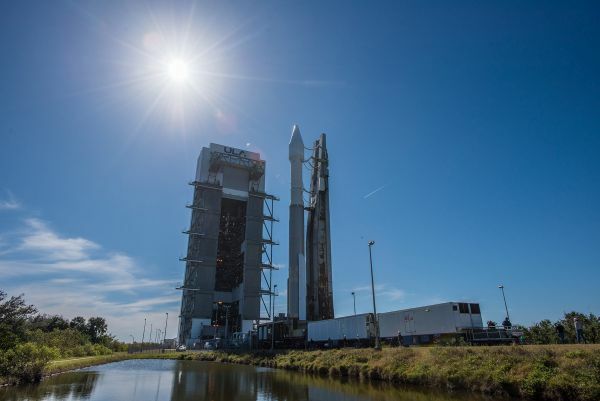 Everything is progressing toward the ULA Atlas V launch carrying the Space Based Infrared System (SBIRS) GEO Flight 4 mission for the U.S. Air Force. Photo Caption: (Cape Canaveral Air Force Station, Fla., Jan. 17, 2018) A ULA Atlas V rocket carrying the SBIRS GEO Flight 4 mission for the U.S. Air Force is rolled from the Vertical Integration Facility to the launch pad at Cape Canaveral's Space Launch Complex-41. Photo courtesy of ULA. 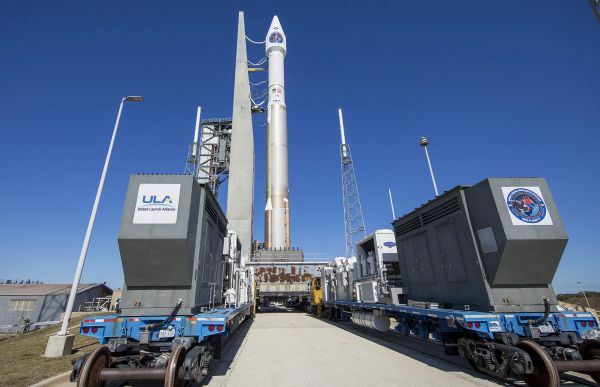 The mission is set to lift off on a ULA Atlas V rocket on Thursday, Jan. 18 from Space Launch Complex-41 at Cape Canaveral Air Force Station in Florida. Today’s L-1 forecast shows a 90 percent chance of favorable weather conditions for launch. The launch time is 7:52 p.m. ET. BARS + TONE – 7:01 P.M. PROGRAM START – 7:32 P.M.